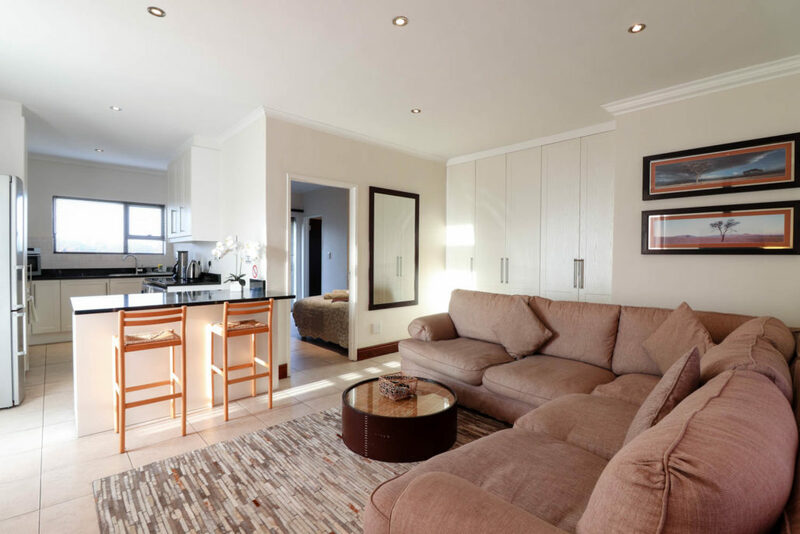 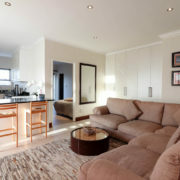 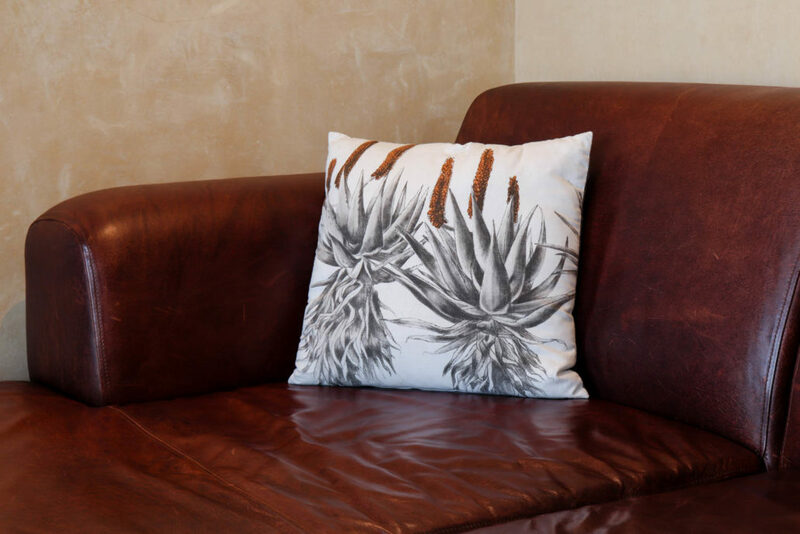 A luxurious one bedroom unit with private balcony splendid views of Table Mountain. 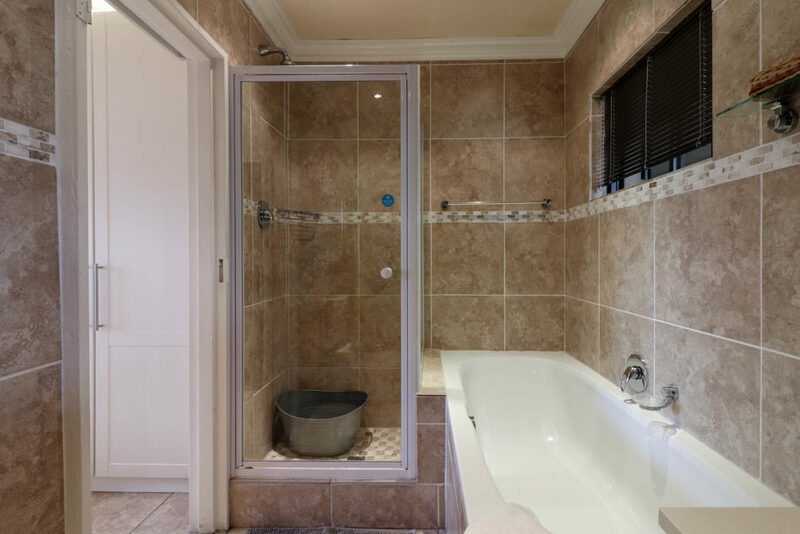 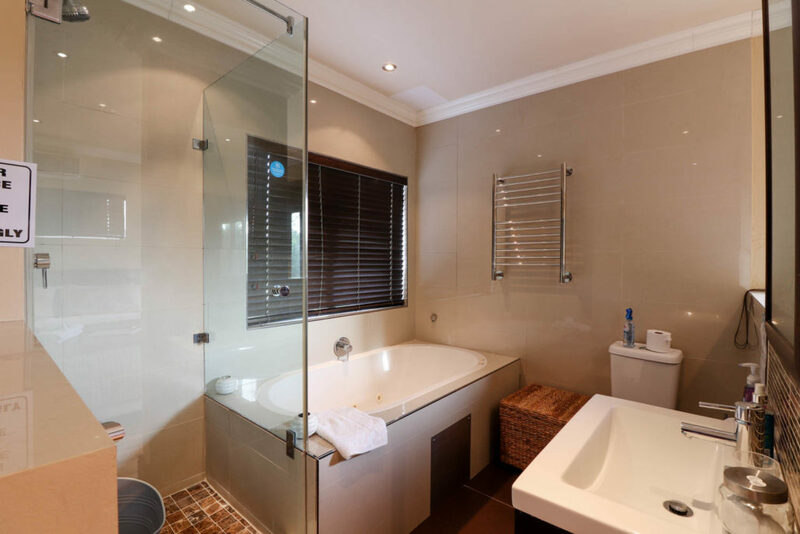 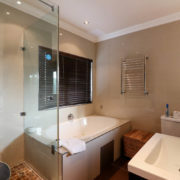 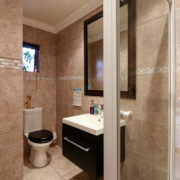 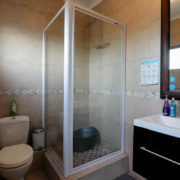 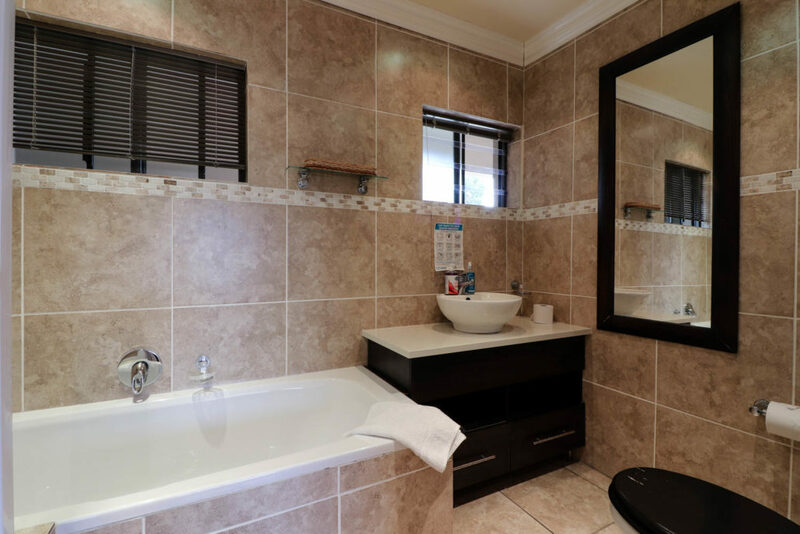 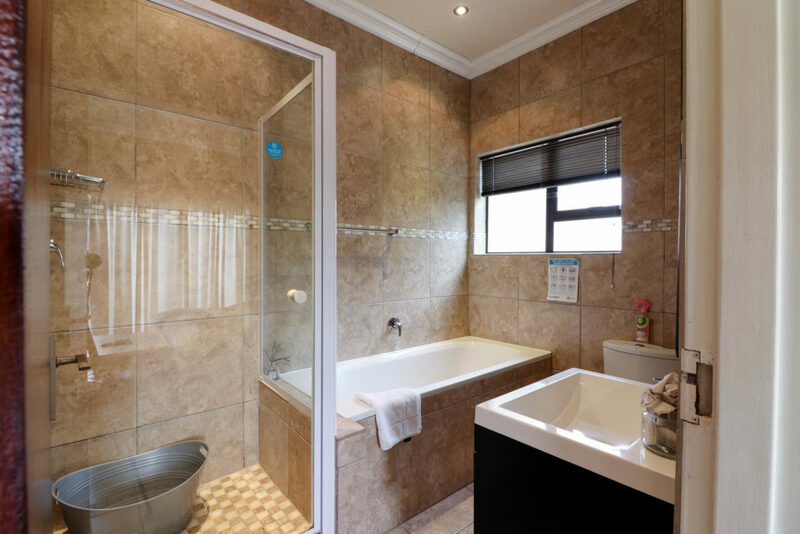 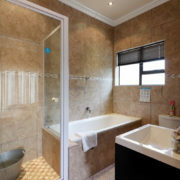 The full bathroom includes a spa bath and heated towel rails. 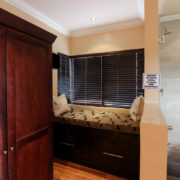 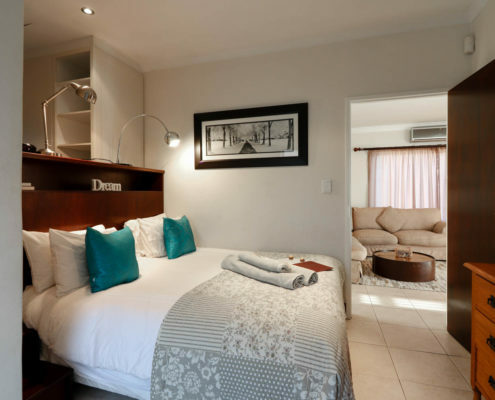 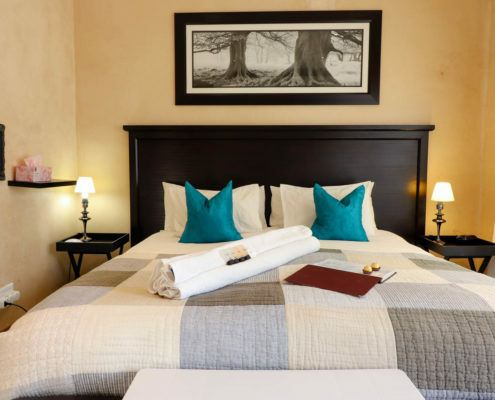 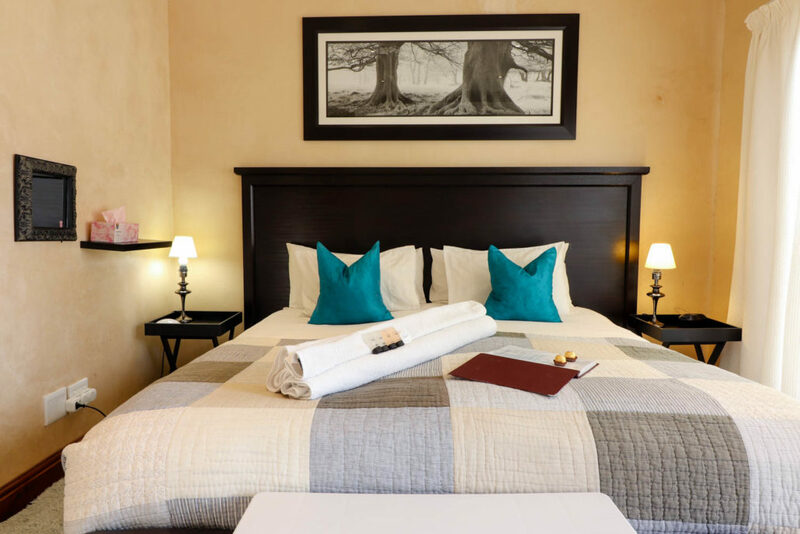 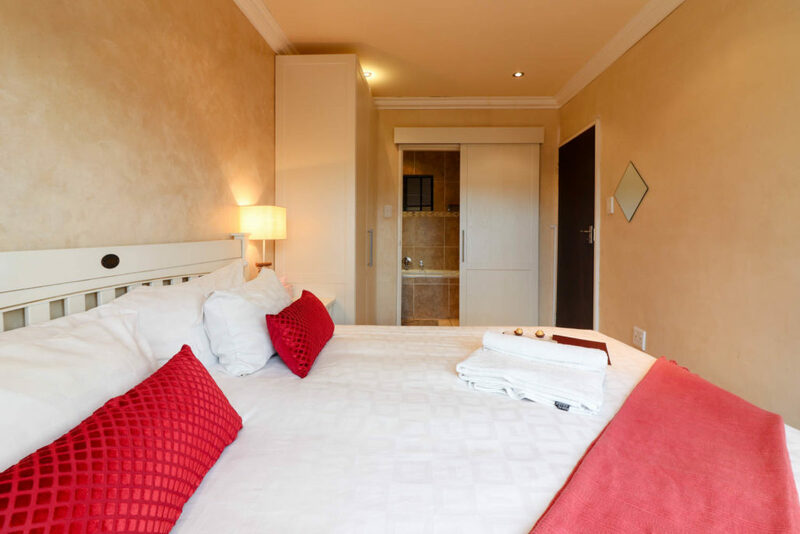 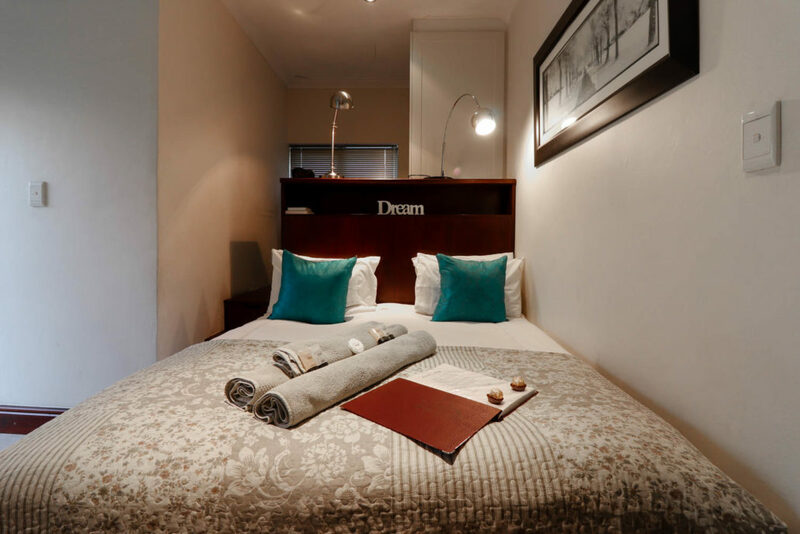 While the bedroom, with its king size extra length bed, also includes a reading nook at the window where you can enjoy beautiful Table Mountain views while reading or reflecting after a hard day at work. 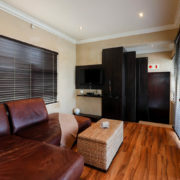 The private lounge which leads to a private balcony, also with views, is luxuriously furnished and includes a 32” flat screen TV (with MNET ). 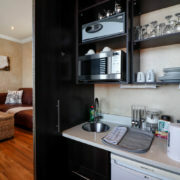 The kitchenette is small and compact, but functional and ideal for those ready to eat meals, while a Webber on the balcony provides an alternative. 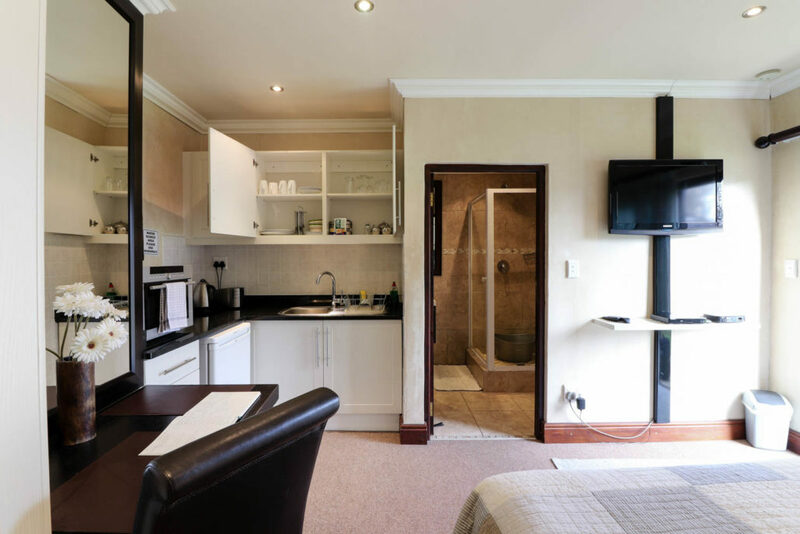 This spacious and comfortable one bedroom unit includes a full granite kitchen with oven, washing machine and tumble dryer. 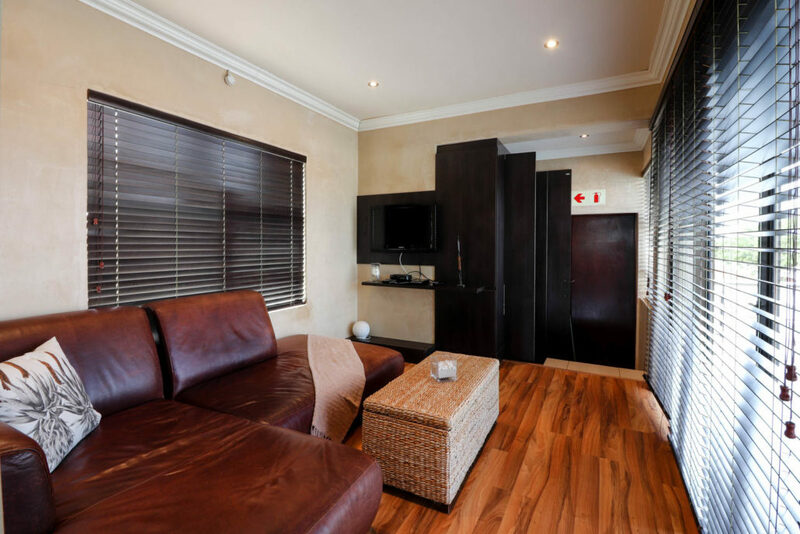 While the oversized private balcony with its own Webber provides the perfect outdoor relaxation. 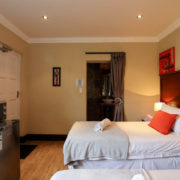 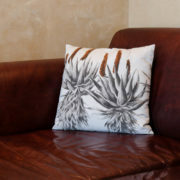 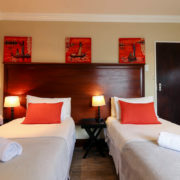 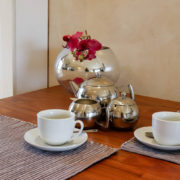 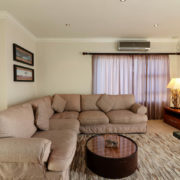 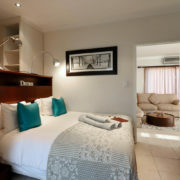 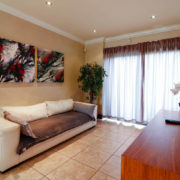 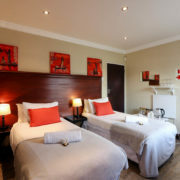 The lounge is luxuriously furnished and includes a 32” flat screen TV (with MNET ) and a sleeper couch to accommodate a small family. 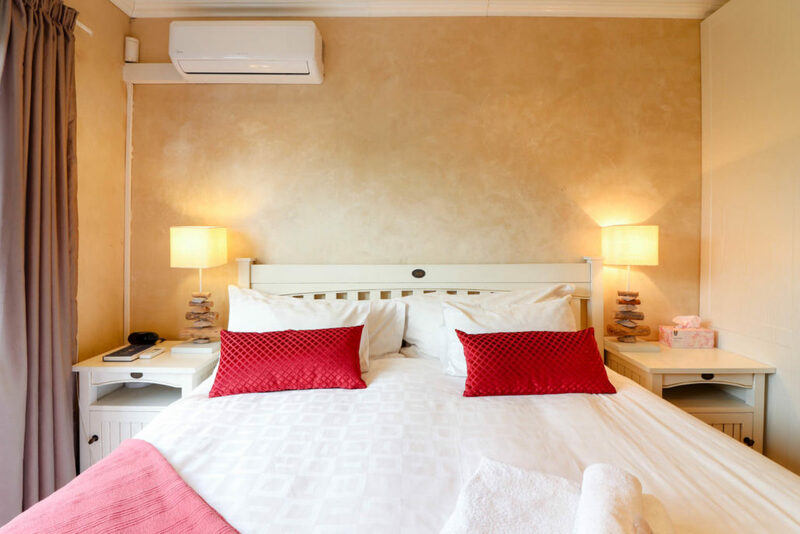 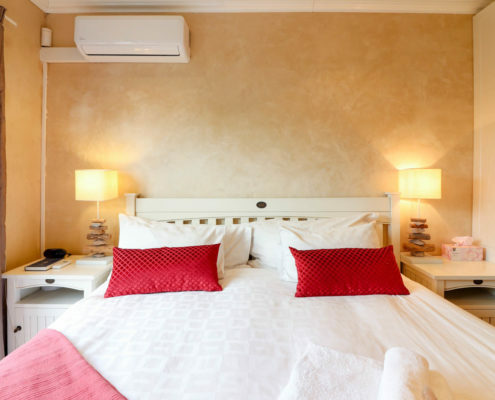 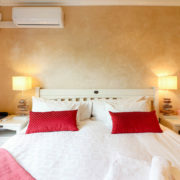 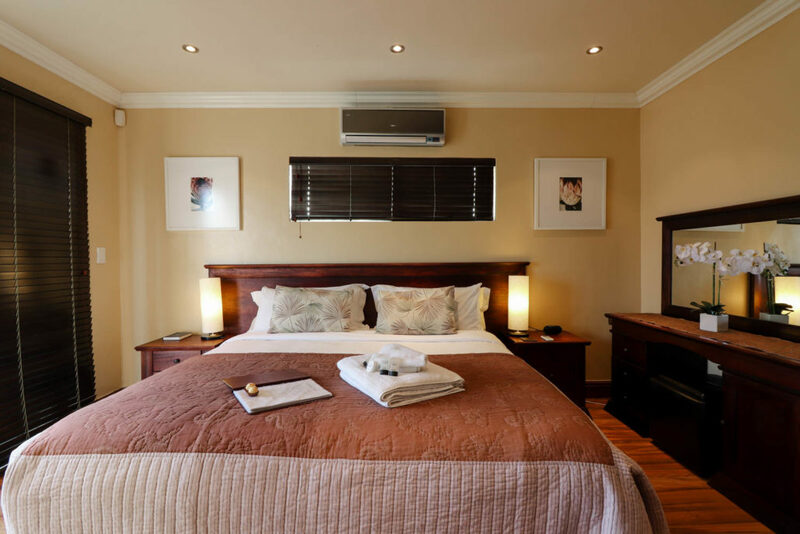 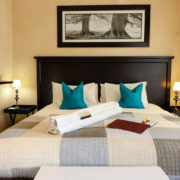 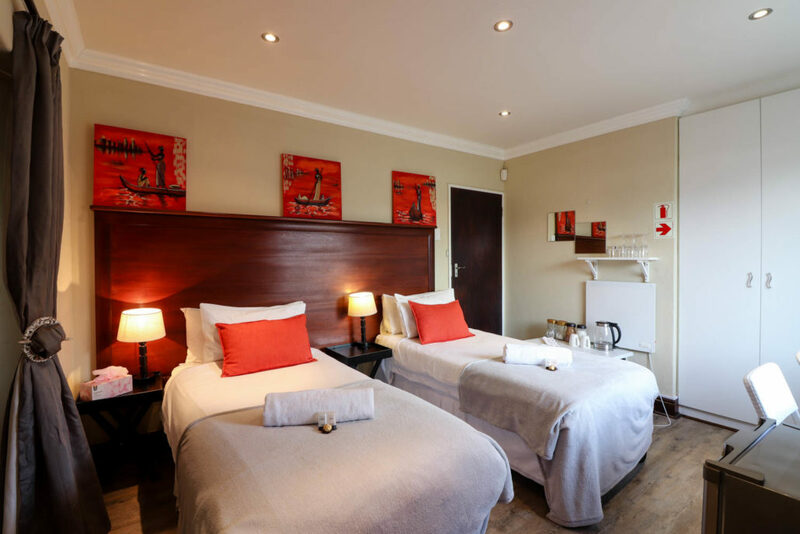 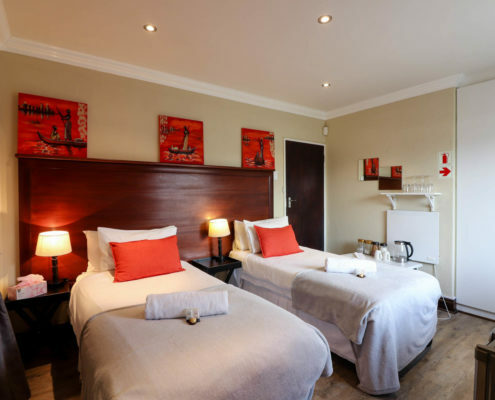 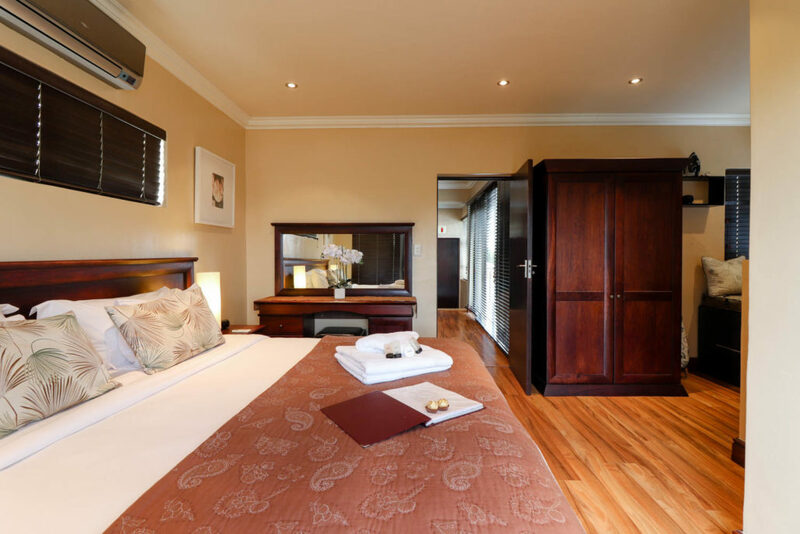 The bedroom includes a comfortable queen bed with a reading nook with perfect views of Table Mountain, while the bathroom includes a shower. 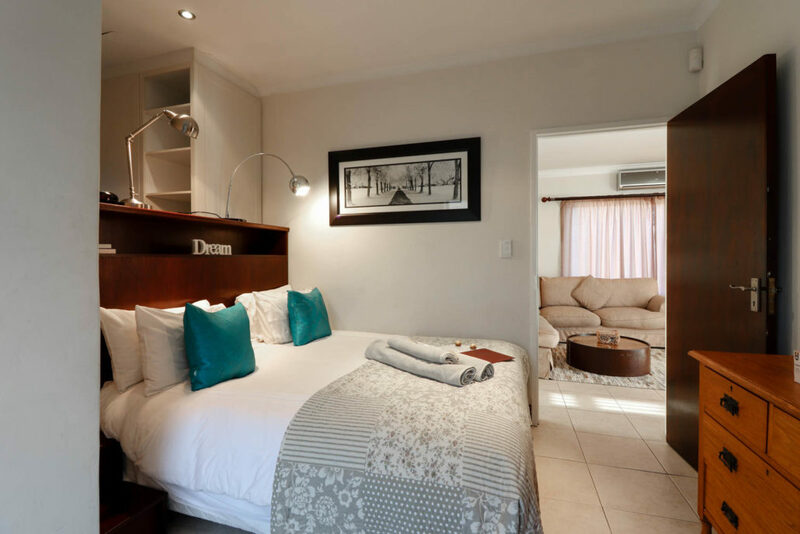 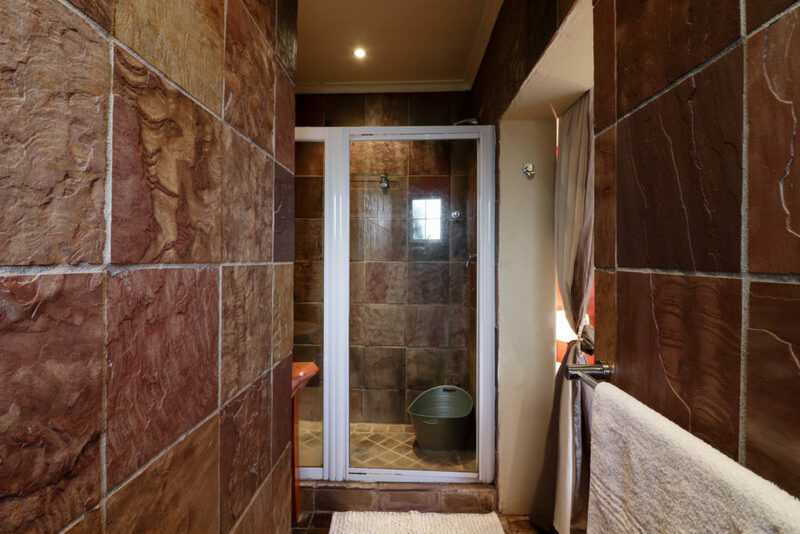 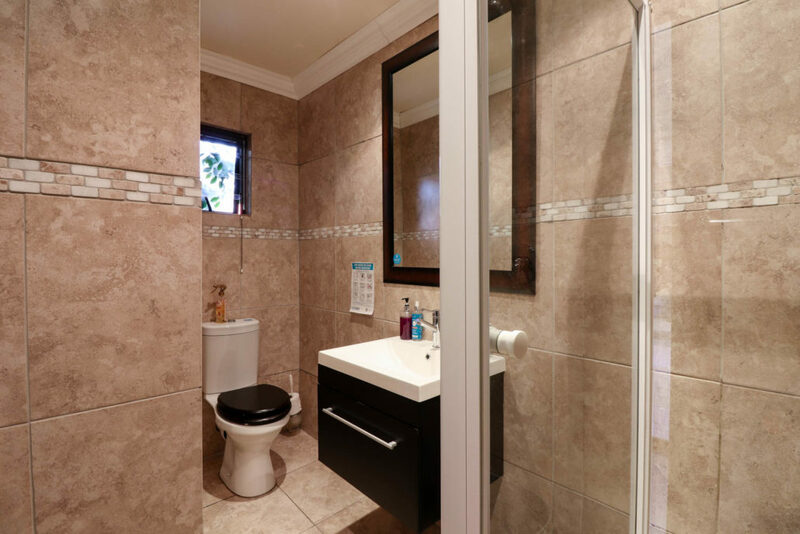 This ground floor one bedroom unit with a modern beach feel includes a full bathroom, king sized bed in the bedroom which leads to a private garden. 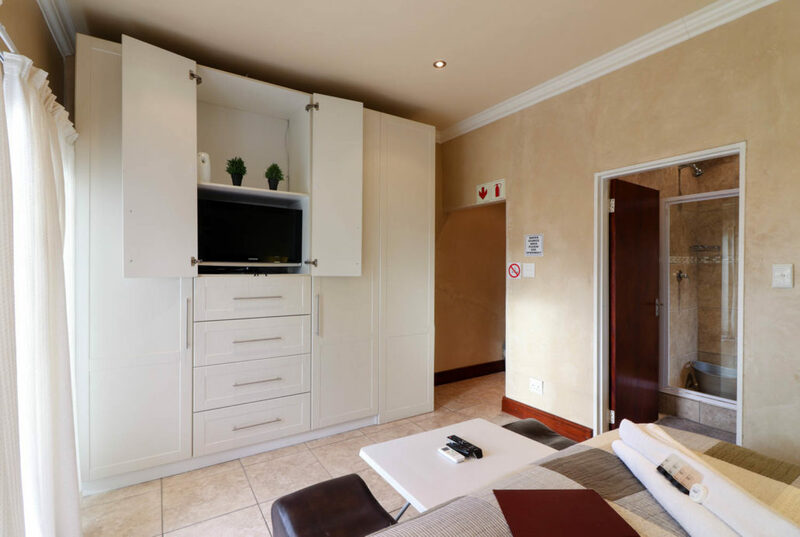 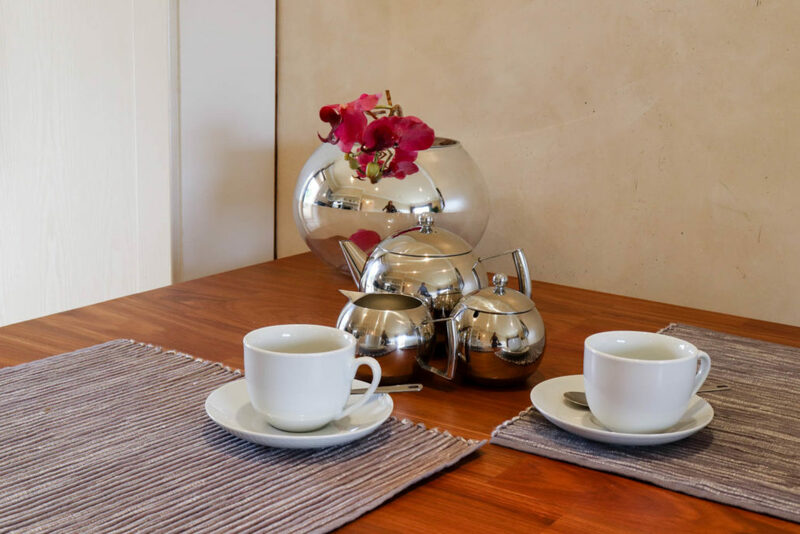 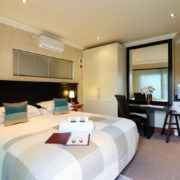 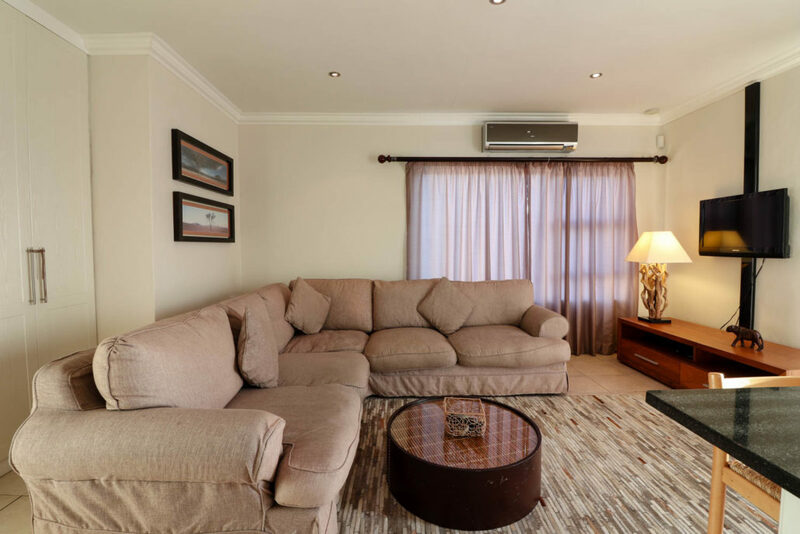 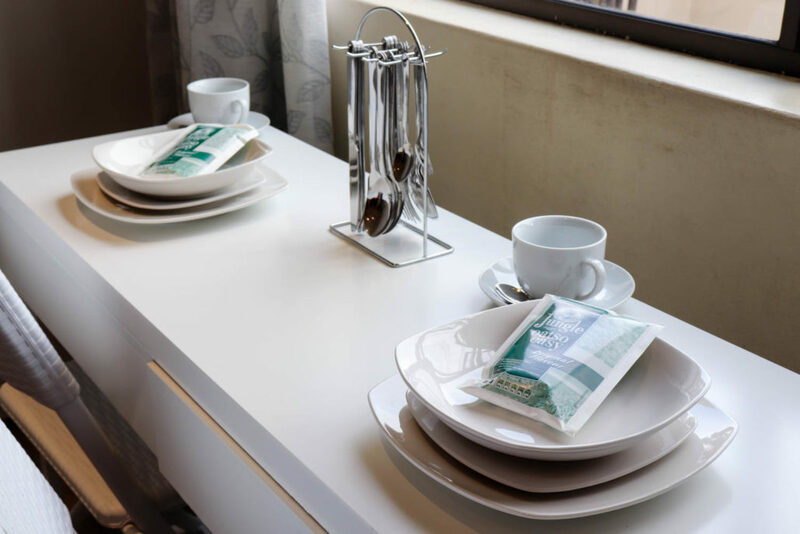 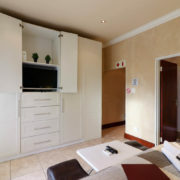 The small compact open plan granite kitchen and luxurious modern white leather lounge includes a 32” flat screen TV (with MNET) also leads to the private grass garden. 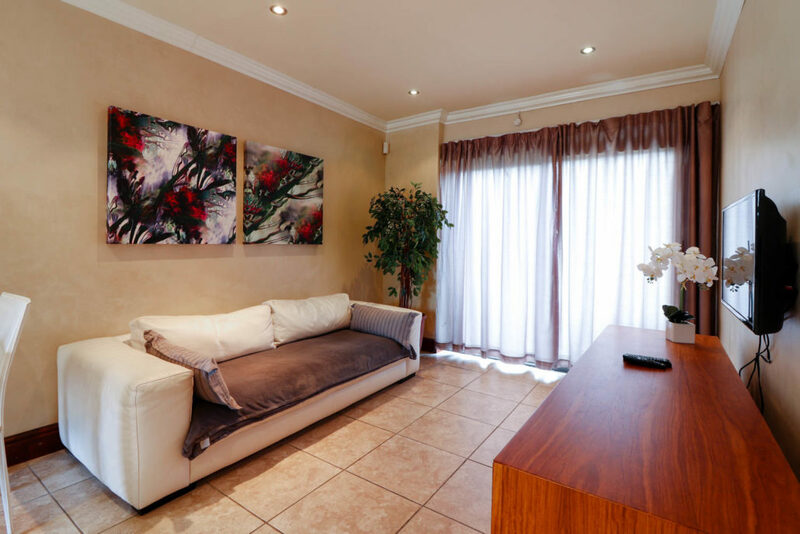 There is a Webber and comfortable garden furniture to enjoy a true South African braai. 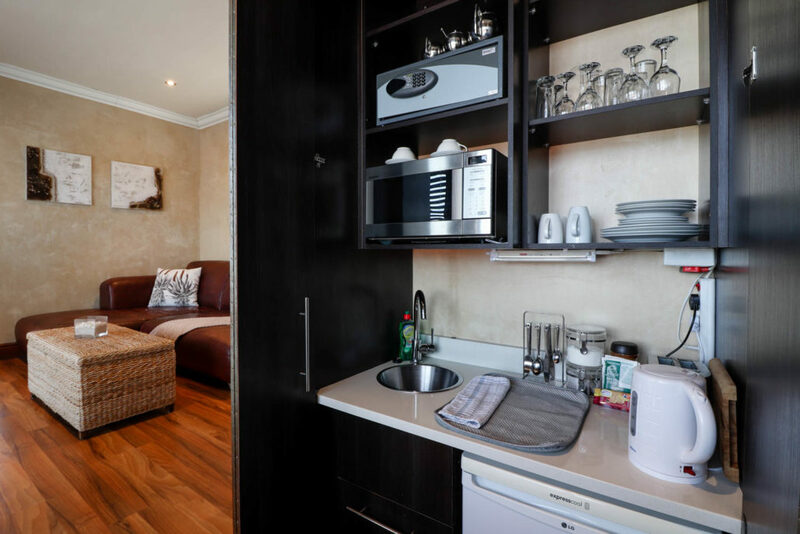 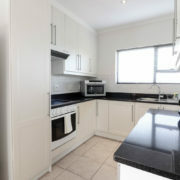 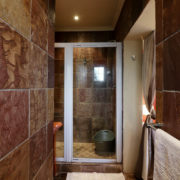 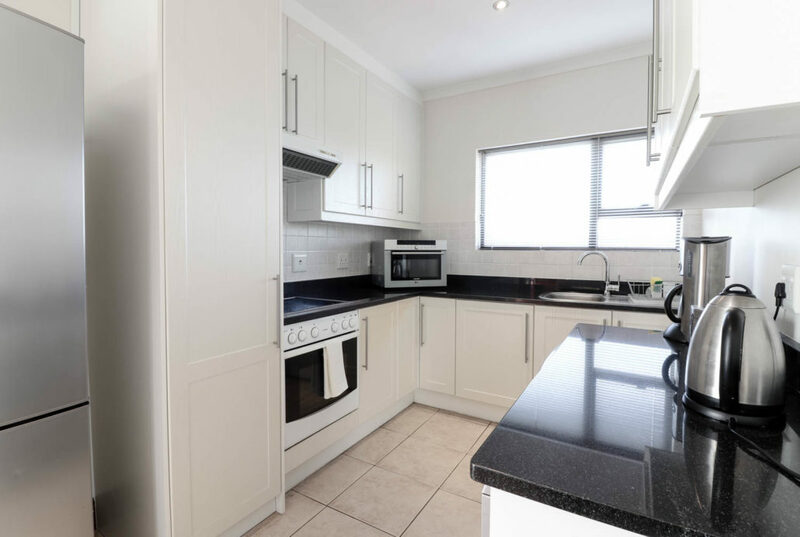 This unit overlooking the braai area includes a granite kitchenette with comfortable king size bed and 32” flat screen TV (with MNET). 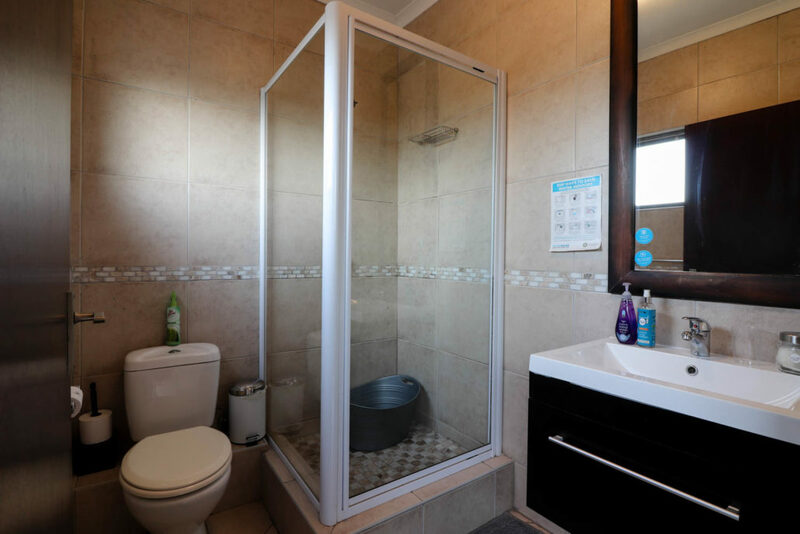 The bathroom includes a shower. 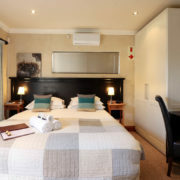 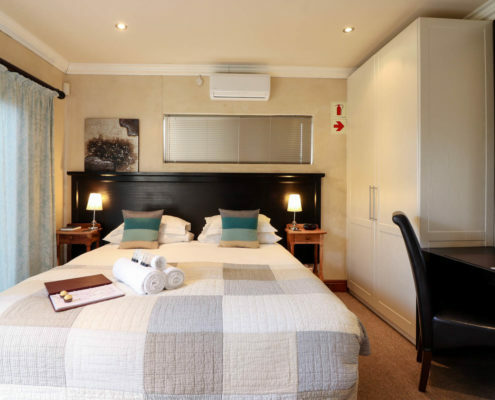 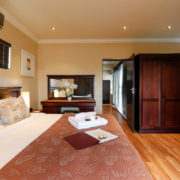 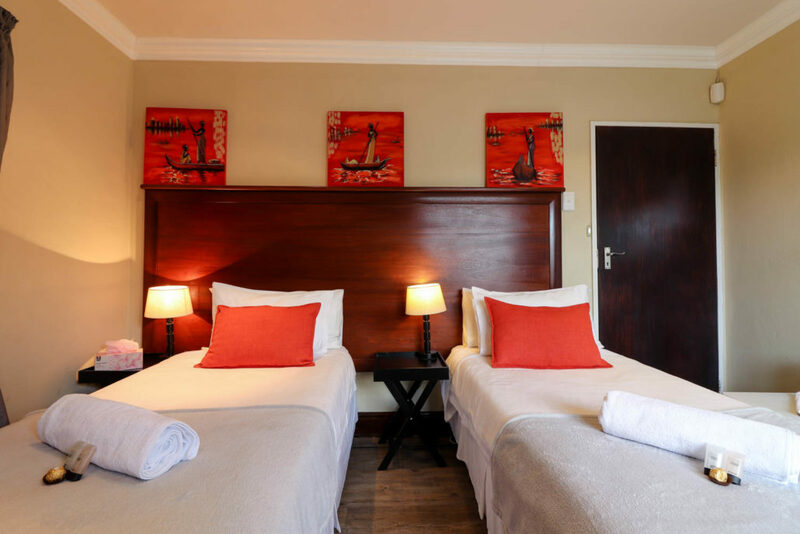 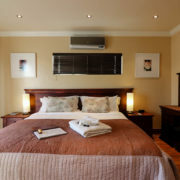 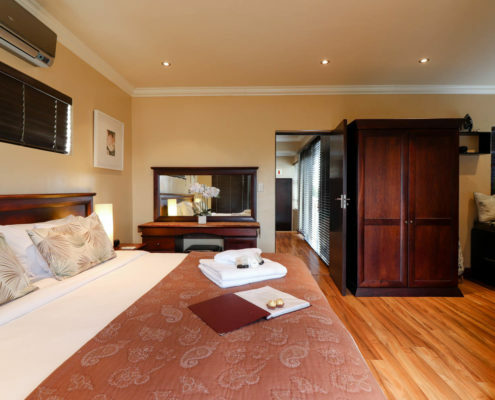 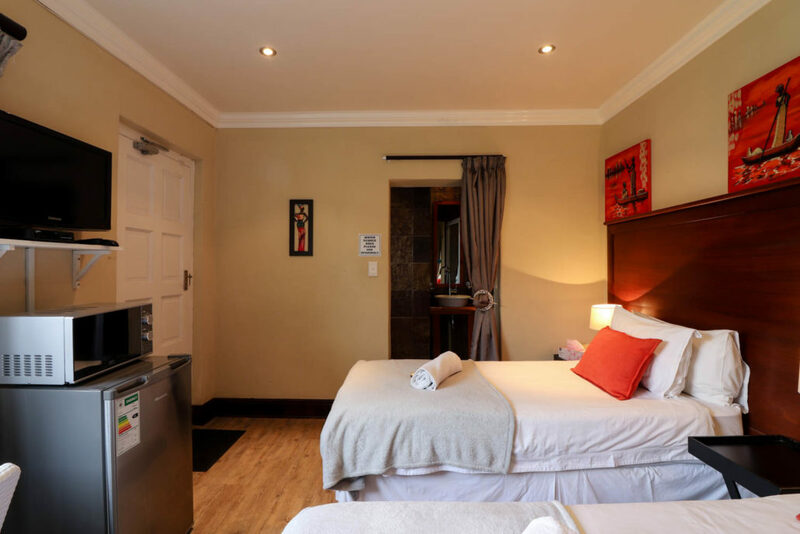 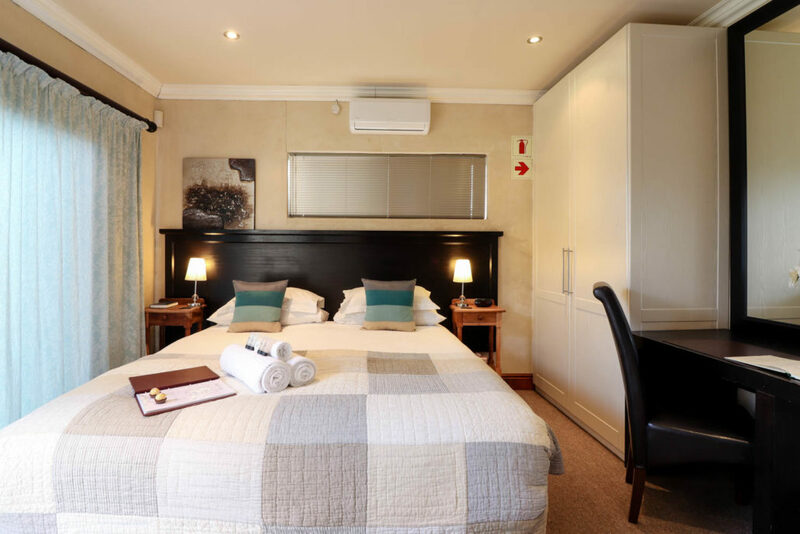 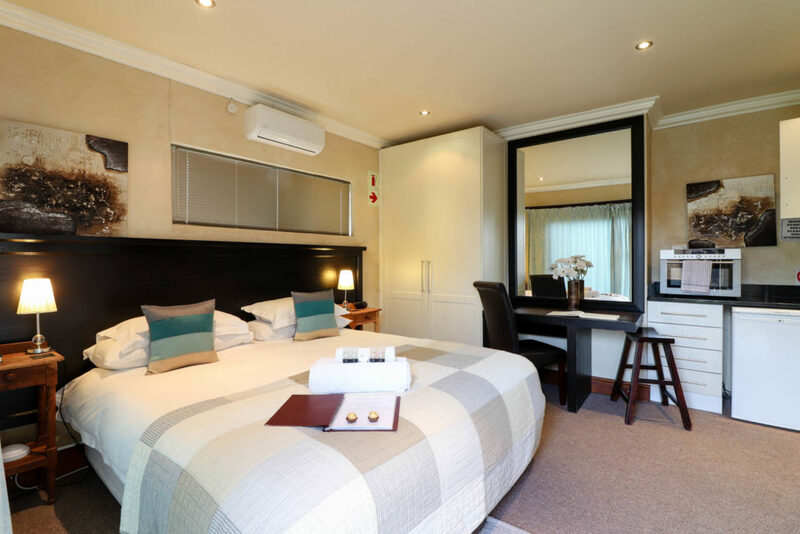 This suite, overlooking the braai and conference area, includes a granite kitchenette with comfortable king size bed and 32” flat screen TV . 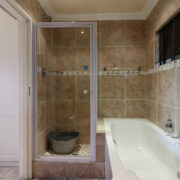 The bathroom includes a shower. 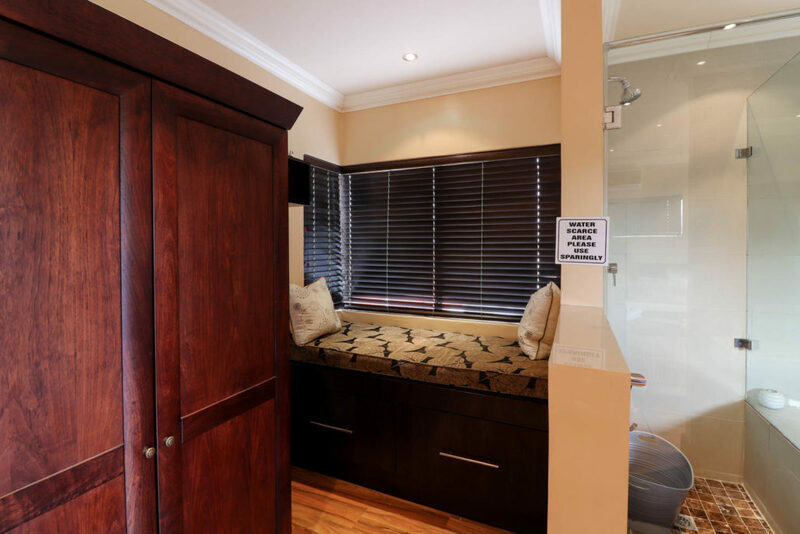 This suite is also separated from the rest of the house and provides privacy. 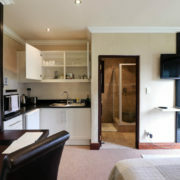 Pembi means compact, this little gem is round the back of the property and is rented on room only basis. 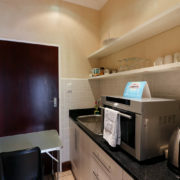 Newly renovated, two single beds, bar fridge, microwave, kettle and utensils. 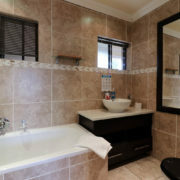 Perfect for business people or singles wanting room only setup. 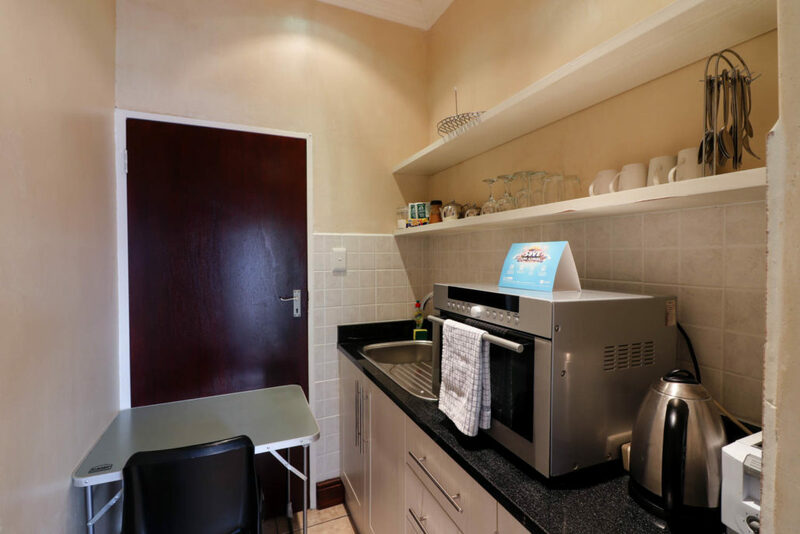 Suitable for guests that like to eat out as there is no kitchen. 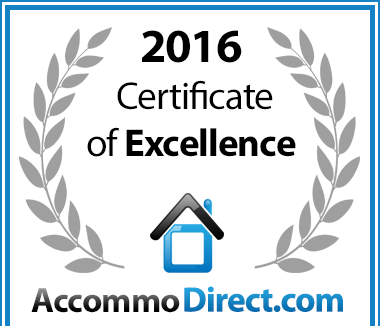 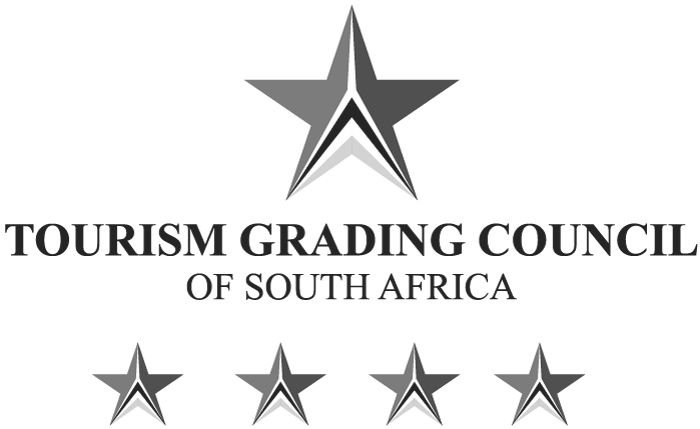 In recognition of exceptional service Awali Lodge in Table View, Cape Town is hereby awarded a Certificate of Excellence.